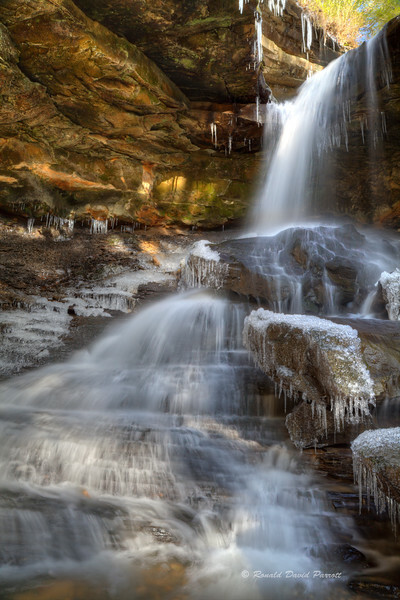 This is McCammon Branch Falls in Jackson County. A small wispy cloud created some nice highlights for this photo. It's too bad I don't have a remote control for clouds! However, I was able to take a series of shots as the moving cloud changed the highlights. This photo is my favorite one of the series.